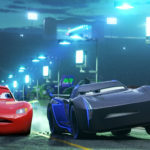 In celebration of the success of Cars 3, we are holding a giveaway for a $25 Fandango gift card. 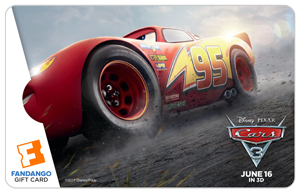 Available in three versions (Lightning McQueen, Cruz Ramirez, and Jackson Storm), the Fandango Cars 3 gift cards showcase the “groundbreaking” film. 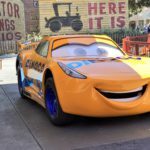 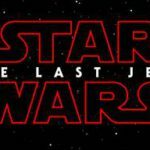 Movie fans can utilize these Cars-themed gift cards for tickets to big screen films via Fandango, or for the at-home digital service FandangoNOW. 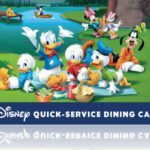 The cards are also available in both physical and digital formats.